The first of five TBMs has arrived to extend Sydney’s new metro under the city centre. 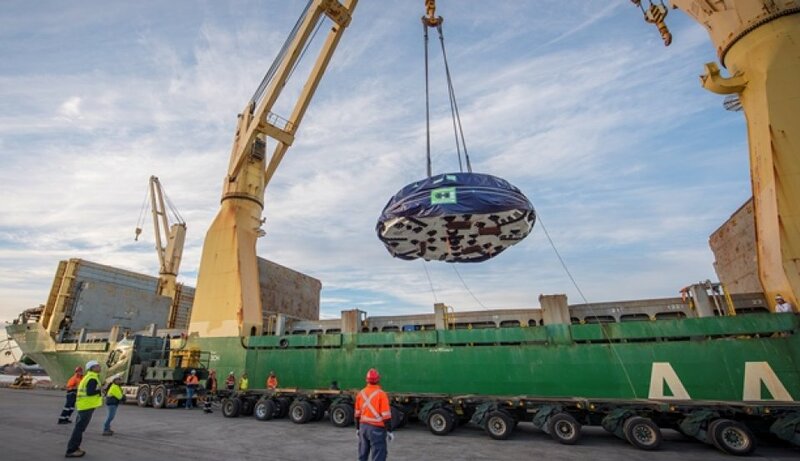 The Herrenknecht TBM is arriving at the Marrickville launch site in eight shipping containers and 23 other separate pieces – including a 100 tonne cutter head. This is the first time in Australian history that five TBMs have worked on a transport infrastructure project, delivering new 15.5 km twin metro railway tunnels from Chatswood to Sydenham, including under Sydney Harbour. Two TBMs will dig 6.2km from Chatswood to the edge of Sydney Harbour. Two will travel 8.1km from Marrickville to Barangaroo. The fifth TBM has been specially designed to deliver twin 1km long tunnels under Sydney Harbour. They are expected to tunnel about 120m a week on average. The five TBMs are part of the $2.81bn tunnelling contract awarded in June 2017 to the John Holland CPB Ghella joint venture, which contracted world-leading manufacturer Herrenknecht to design, build and deliver the TBMs.